Well it’s a new year, again. Why does this keep happening? Oh yeah that’s cause this is how it works. So my usual holiday stint includes catching up on my favourite shows such as Suits. If you haven’t seen it you’re missing out. But I’m starting to fear that many of the shows stories… mimic mine. And as Season 4 comes to a wrap, I guess I can loosely compare my life to Louis Litt (emphasize the “loosely”). 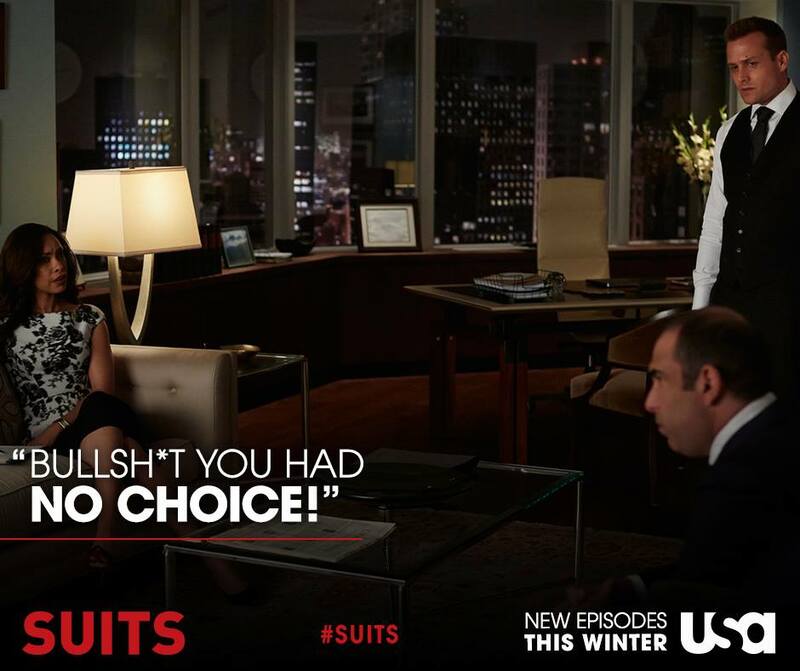 Spoiler alert – Louise gets kicked out of Pearson Specter. Kind of like I got kicked out of my previous barn. These holidays were harder than usual. There is this massive hole in my heart and part of it seems to get colder as time goes on. Kind of like in Once Upon A Time when Snow lets her dark side come through and it leaves a permanent dark mark on her heart. Except my darkness has two parts – the gaping hole that Salut has left and the cold part that my “barn family” left. To Louis (back to Suits now, keep up) Pearson Specter meant more than a job. He summed up his time at the firm as “it is my life, it is my home and the people that work here are like my family”. Now Louis treats many of his “family” questionably but regardless that is how he felt. This is how I felt about my barn family. Everything happens for a reason and maybe this was to force me into the direction of people who really do care about me, who don’t care how much money I have or what I can offer them. The kind of people who offer me their Grand Prix horse to ride before they knew it would be blogged about and visited by several thousand viewers (thank you Horse Junkes United). I’ve been missing Salut a lot these days. I knew he was important to me, but without him I am truly understanding the companionship he offered me. I miss his soft eyes full of understanding, I miss how he perked up when I talked to him or how his mere presence was comforting. I’ve had my share of life challenges and Salut was always the soul I turned too. Now it’s just me. So this new me is going to have to learn to not get hurt so much, to not care so much and how to take on the big scary world by myself. Horses are so special and we are so lucky to have them in our lives. Say no to barn drama and instead choose to cherish every moment with them. ← It MUST be Christmas, Back on Track is at Costco! So sorry you are going through that. That is really disappointing to hear. I hope 2015 is good to you!